Includes a dark green jumpsuit highlighting the armour, grey fabric tied to the belt like a hoody, shoe covers that look like trainers attached to the jumpsuit and the shell on the back. 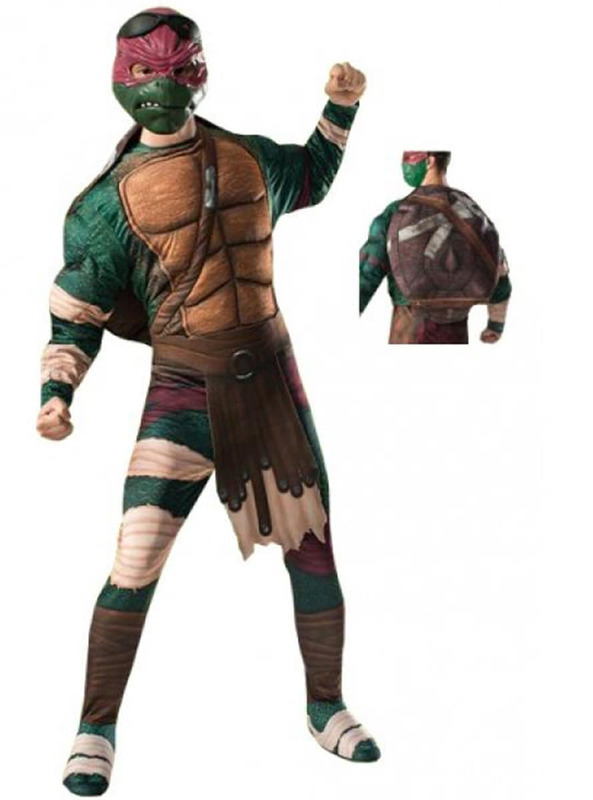 It also includes a green mask with the face of Raphael and a red eye mask. העלה את התמונות שלך ל Instagram עם hashtag #funidelia בא אחריו #funidelia05536. דירוג המוצר: "רפאל נינג 'ה צבים סרט תלבושות עבור מבוגר"